Actress Ramya Krishnan who won millions of heart with her wonderful performance in SS Rajamouli’s Baahubali series- Baahubali: The Beginning and Baahubali 2: The Conclusion, in which she essayed the role of Sivagami aka Ramya Krishnan Plays pornstar. 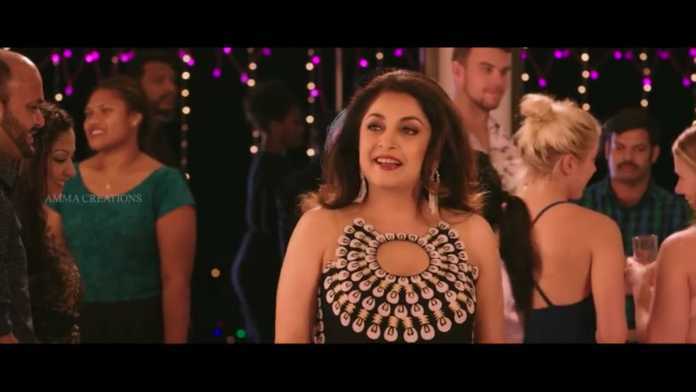 According to the latest Tollywood update, Telugu Actress Ramya Krishnan Plays Pornstar role in Super Deluxe in which Samantha Akkineni is playing the female lead. Apart from them, the film has other stars like Vijay Sethupathi and Fahadh Faasil in the leads. Super Deluxe is written and directed by Thiagarajan Kumararaja of Aaranya Kaandam fame, and bankrolled by Tyler Durden And Kino Fist, in association with East West Dream Works Entertainment & Alchemy Vision Workz. Mysskin, Gayathrie, Naveen Vikram, Jackson Joy, and Bagavathi Perumal are playing supporting roles.